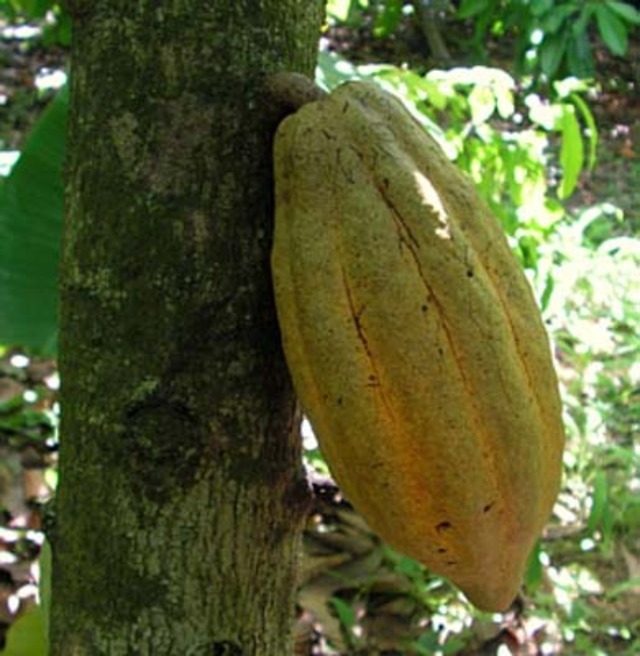 The fruit of the cocoa plant. The fruit resembles a yellow or orange torpedo approximately a foot in length. Inside there are several seed covered by a soft pulp. 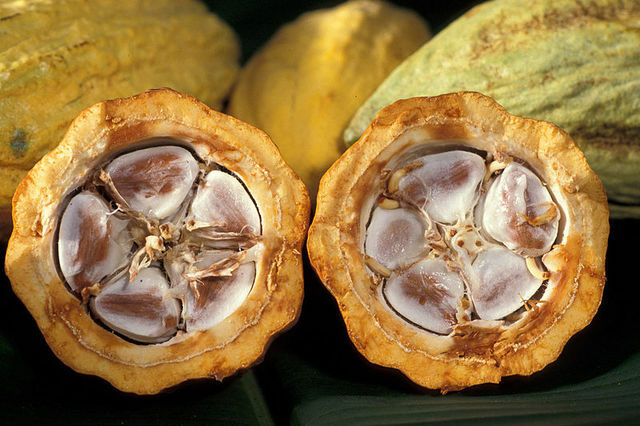 The dried seeds are ground to make cocoa and are the raw material used to make chocolate. 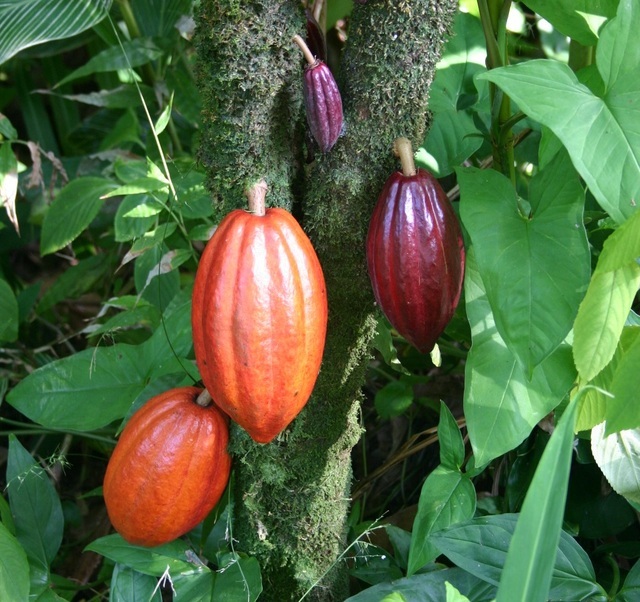 A beverage made from the ground seeds of the cocoa plant. 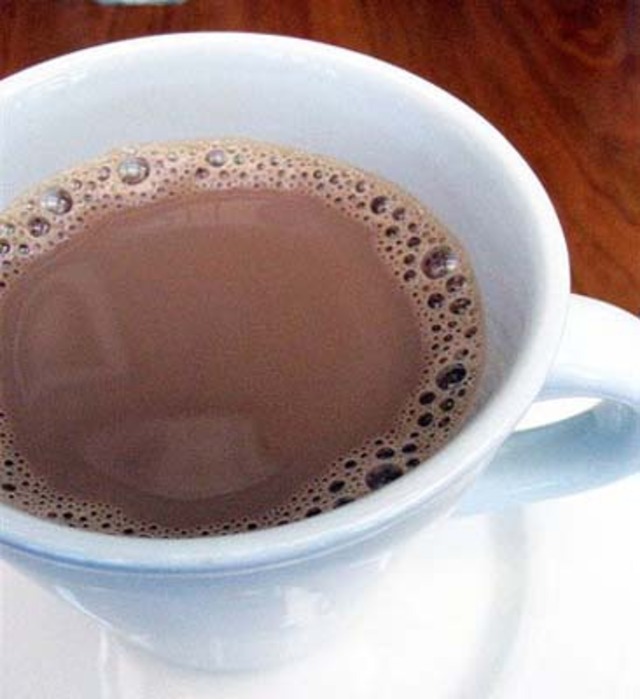 It is usually made hot, and heavily spiced with nutmeg, vanilla and cinnamon. sadly you forgot plums man i love those things!!!!! 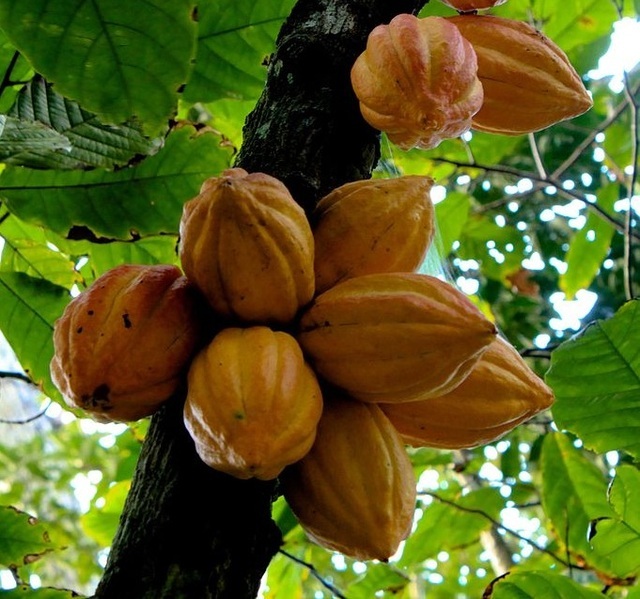 What is it called in the caribbean?